This book discusses educational developments during a crucial period of English history in their social context, revising a long-standing interpretation of the effect of Reformation legislation. Tracing trends from the fifteenth to the seventeenth century, it is in three parts. The first considers the pattern in the later maiddle ages and the conditions favouring the spread of humanist ideas which were to be adapted and applied at the Reformation. In Part II there is a detailed survey of measures takeen under Henry VIII and during the reign of Edward VI when state intervention to control the organisation and curriculum of schools and universities laid the foundations of the modern system of education. 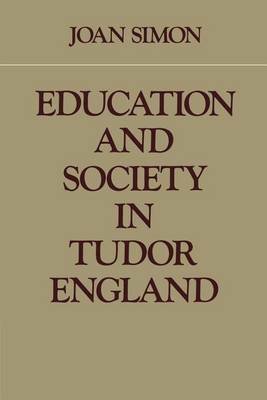 Finally, after a review of the relation between educational and social change, the focus is on three main aspects during the conservative Elizabethan age: consolidation of the school system, the pattern devised for the institution of the gentleman; the extension of the popular education fostered by the puritan ethic and the pressure of practical needs - forecasting the next major move for educational reform in the mid-seventeenth century.